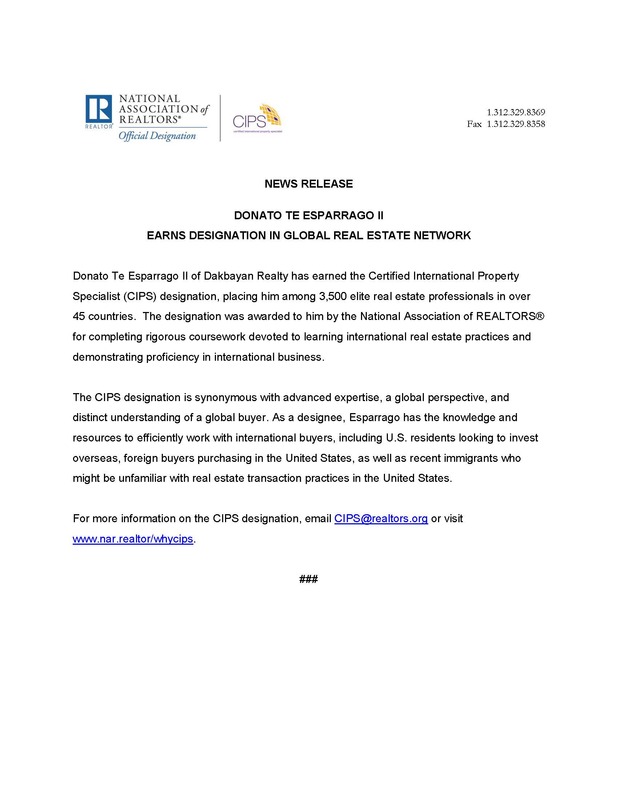 After completing rigorous coursework, sanctioned by National Association of REALTORS® (NAR of USA), devoted to international real estate practices and demonstrating proficiency in international business, Donato Te Esparrago II earns his designation in Global Real Estate Network as Certified International Property Specialist (CIPS). 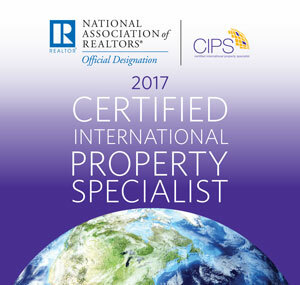 This place him among 3,500 elite real estate professionals in over 45 countries. might be unfamiliar with real estate transaction practices in the United States.